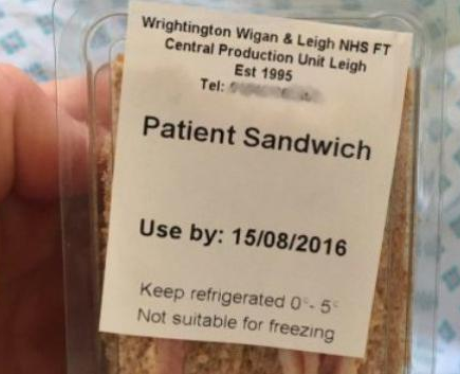 Anyone fancy a 'Patient Sandwich'? Hospital patient is amused by the lunch menu. Silly Season: Bizarre Stories You Won't Believe! 2. Anyone fancy a 'Patient Sandwich'? Hospital patient is amused by the lunch menu. The image of the ham sandwich has been turning stomachs since it was posted to Twitter a couple of days ago by @Jazmasta, as people think of all the grim possibilities of what (or who!) the sandwich could be made of. See the full gallery: Silly Season: Bizarre Stories You Won't Believe!